Inside the Goodwill Processing Center in Lawrenceville on Tuesday, Oct. 3, 2017. 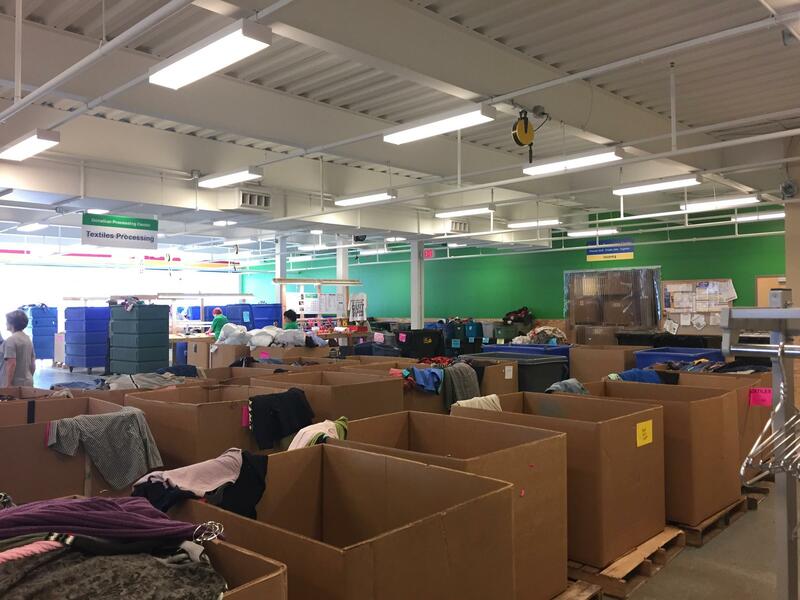 Goodwill's Donation Processing Center in Lawrenceville has 29 employees with intellectual and developmental disabilities who do task-oriented work like sorting donated clothing and scanning books. 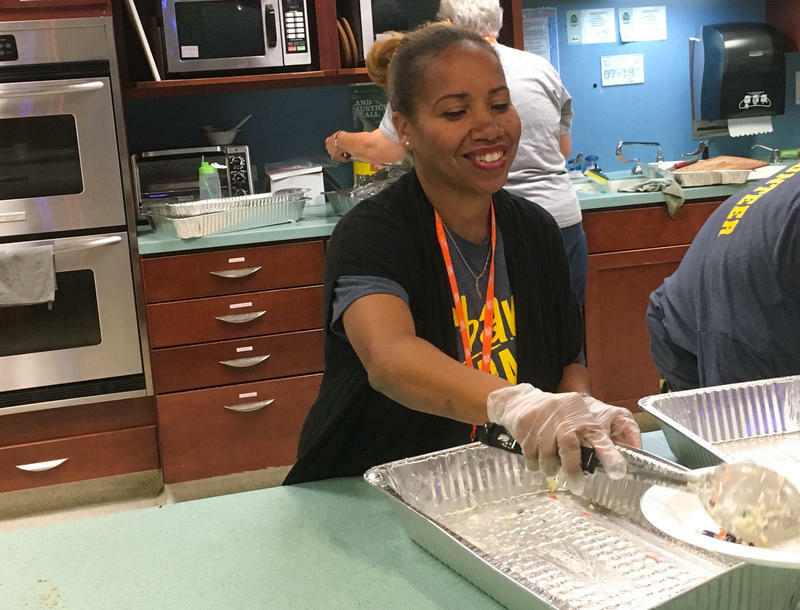 As of July 1, the center's parent organization Goodwill of Southwestern Pennsylvania has guaranteed them minimum wage. Goodwill leaders announced the change Tuesday. The company has been under fire in recent years for underpaying employees with disabilities, as little as 22 cents an hour in some cases. An NBC News investigation from 2013 revealed the practice was pervasive in 2009, according to documents provided by the U.S. Department of Labor. Federal labor laws exempt some employers from minimum wage requirements based on the abilities of an employee with disabilities. Michael Smith, president and CEO of Goodwill of Southwestern Pennsylvania, said in some cases, without sub-minimum wage jobs, the skill sets of workers with disabilities would prevent them from competing for employment. "We take folks who have been supported by the government through various funding sources into employment where they're now hardworking, tax-paying citizens like all of us," Smith said. "So not only does it take some of the burden off the government, but it also gives an employee the dignity of work." The Donation Processing Center is an integrated work environment, where employees with disabilities work alongside non-disabled employees. Goodwill Spokesman David Tobiczyk said the ratio of employees with disabilities to non-disabled employees is about 50/50. Upgrading their workers with disabilities to "employee" status helps develop a sense of community, Smith said. "They now have the badge, which is an employee badge, [and] a lot of them attended our annual picnic that we have every year," he said. "So not only do they now make a minimum wage or higher, but they share in the benefits of every other employee." Smith said he believes many Goodwill locations across the nation are moving to enact similar practices for their employees with disabilities. 90.5 WESA's Katie Blackley explores the origins and evolution of the Pittsburgh accent. The famous, or perhaps infamous, Pittsburgh accent is as central to the Steel City’s identity as Terrible Towels and yellow bridges. In an effort to reduce Pittsburgh's environmental impact and improve air quality, the city is launching a set of goals to achieve by 2030. *UPDATED: Oct. 2, 2017 at 4:46 p.m. In the basement of the Mosaic Community Church on the North Side, a small crowd mingles before a joint meeting of the Perry Hilltop and Fineview Citizens councils.